We strive to offer the very best that the Used Machinery Market has to offer. 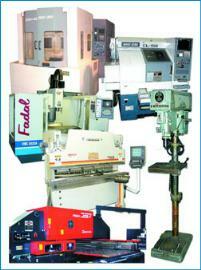 Continually getting new inventory, we Buy and Sell from one Machine to Entire Plants. Understanding today's ever changing marketplace, we look forward to serving your needs. We don't just want your business; we want a long lasting relationship.